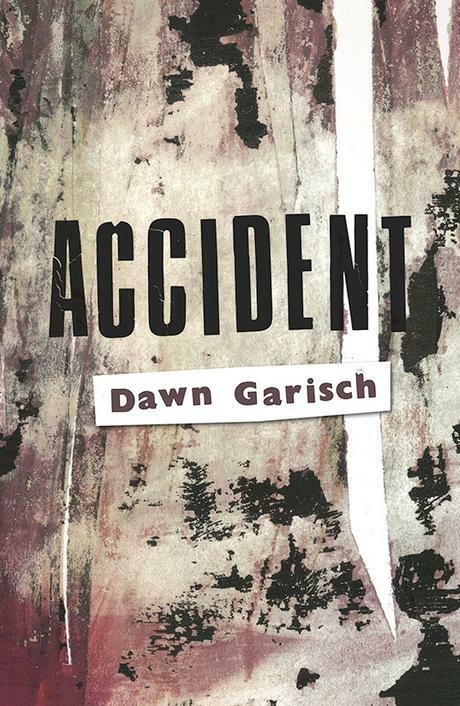 Doctor and writer, Dawn Garisch has just published her latest novel Accident through Modjaji Books. Dawn invited me to be in conversation with her at her book launch event at Kalk Bay Books on the 10th May. She asked me if I wanted to make a performance part of the conversation as one of the main characters in the novel is performance artist Max. It was an interesting challenge to find a linking point between my own performance practice as an artist and the character of Max who creates extreme physical performances in the book. 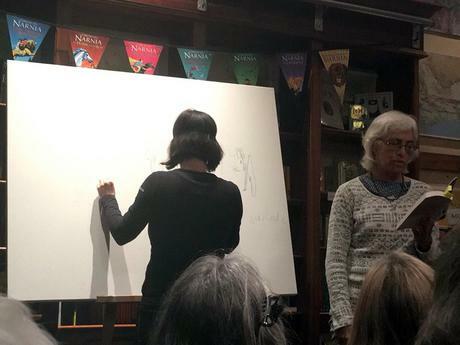 As well as acknowledging the themes of the novel and the context of a book launch conversation. 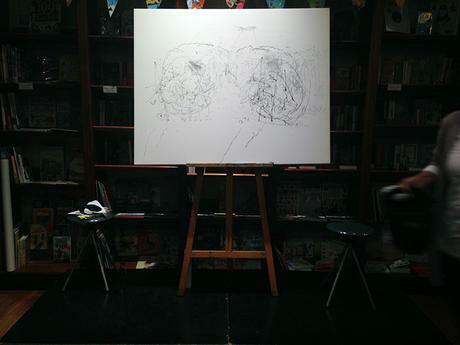 In the end we agreed on a live ambidextrous, blindfolded drawing performance while Dawn was reading passages from the book. 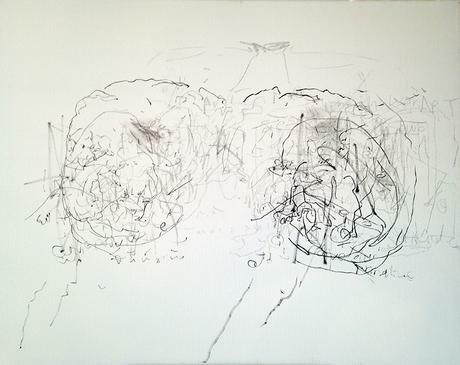 The double image derived from working with two hands echoed themes of duality in the novel between the medical sciences and humanities approach to the body, health and loss. The choice to work blindfolded links to previous performances of mine where I choose to focus on transcribing inner sensations rather than relying on visual perception. Listening to a live reading of a narrative which includes description, dialogue and narration and trying to record this through mark making was an interesting process. I was not trying to illustrate the text but rather find an equivalent in real-time for what I was hearing. I was aware of the viewers’ having to both listen and watch the reading as it unfolded. Working from a live reading made me feel more like a musician working in ‘tune’ with Dawn as she was reading, trying to add to the experience of listening rather than distracting from it.